Last year I was going through a tough time with a 2 year old and a new born. It was embarrassing to be out with other mums and have Isaiah scream the house down for different, random, pointless reasons. The very next day Isaiah went mental……I’m not talking a tantrum, I’m talking mental breakdown type screaming, yelling and crying, ‘Days of our lives’ award winning mental. Of course, being the AMAZING woman of God that I am I instantly smiled and shouted to the heavens ‘Oh Lord, thank you for this beautiful opportunity to practice finding my identity in You!!’…….. I in no way had my own mental break down….. Sometimes when you’ve waited so long to be a mum you feel like you can never complain about your kids once you have them. 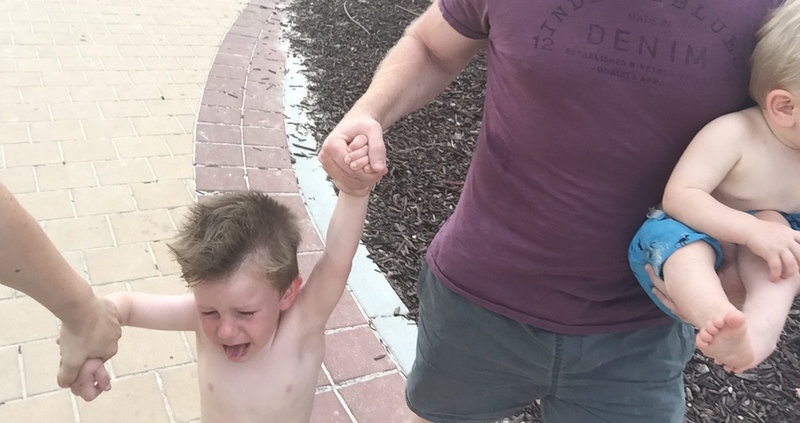 I’m pretty sure every single mum has moments when she wishes she was doing something else…. like a ten hour day in the office sounds pretty awesome right about now. Of course you love your children, of course you’re grateful you have them and of course you would do anything for them. The truth is, being a mum is super hard at times. It can be tiring, stressful, and just plan boring. Even as I’m trying to write this blog I have a sick three year old lying on the couch while his brother is trying to headbutt him. 1.Surround yourself with mums who encourage and affirm you. Every day I’m learning more about how little I know about parenting, but everyday I’m learning more about how much God loves me. I am not defined by my children’s bad behavior. I am a mum, but I am also a lot of other things. Most importantly I am a child of God and my strength and joy comes from Him first.